In climates that experience frequent extremes in temperature and the continual freeze/thaw cycle that is so familiar here in the greater Chicago area, sealcoating your asphalt is the single best way to add years of life to your investment. 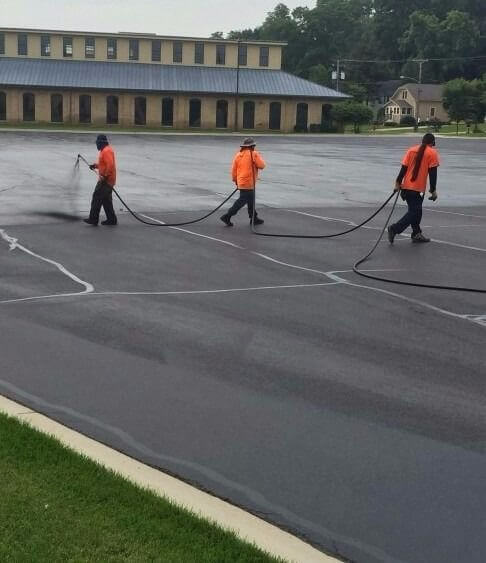 When applied properly and regularly, a good coating of this coal-tar mixture can lengthen the life of your asphalt pavement and save you time and money. 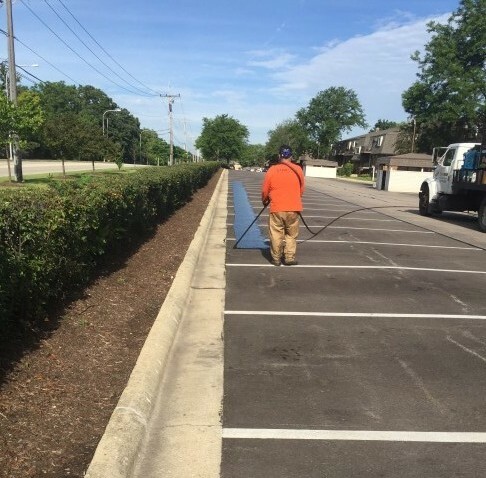 DynaCoat’s asphalt sealcoating experts are a seasoned and talented team that you can trust. Sealcoating can be applied by hand and squeegeed or the application can be sprayed onto the asphalt. Cracks may need to be filled prior to sealcoating and a clean refresh of any striping, in adherence to all locals codes, is often completed as a final step. DynaCoat’s professionals can help you decide what options are best for your project and assist you in setting a time line and workable budget for your job. DynaCoat can work with you on timing as well, if off-hours are needed due to traffic flow at your project site. The difference between a professional finish on a sealcoating job that has a lasting benefit as well as visual appeal comes down to the people who do the job. DynaCoat’s sealcoating team has years of experience combined with up-to-date skills. Constantly in demand, DynaCoat’s team will deliver above your expectations. In addition, if your job site lies within the growing number of communities that are requiring a greener, more eco-friendly sealcoating alternative, DynaCoat can help with that. We are familiar with and educated on all of the latest sealants. We can offer you these choices and help you understand the differences. How soon should you seal new asphalt? Within one year of the initial application of the pavement. How often should you sealcoat? Every 2–4 years, depending on traffic and weather patterns. Give DynaCoat a call or request a quote today and we can talk with you about all of your sealcoating questions.